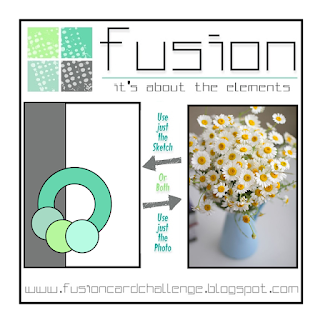 We're on the last Fusion Card Challenge in August (where on earth has this month gone?!) 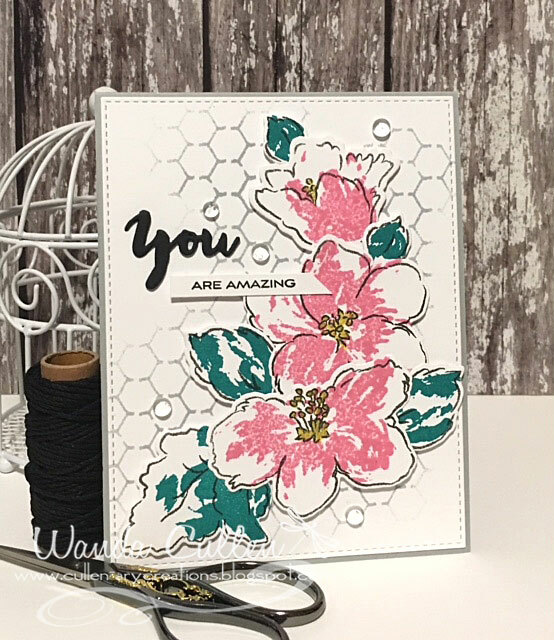 and there's a fabulous new inspiration photo and sketch to get your mojo moving! Remember...you don't have to use both. You can opt to use just the sketch, just the photo or you can use them both as I did. 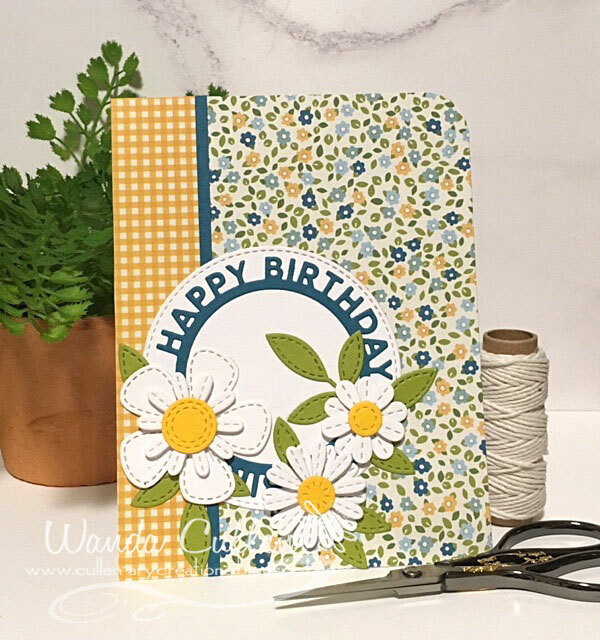 I started with MFT's Stitched Blooms dies to layer up a trio of daisies. I thought the Happy Birthday Circle Frame die (MFT) would work well for the open circle element. The patterned papers are from the Family Ties 6x6" pad by Pebbles and have been in my stash for quite some time. For more inspiration, be sure to check out what the rest of the design team has created..
For a little personal update...tomorrow is another milestone check mark off my "to do" list for my breast cancer battle! It will be my last IV chemo treatment and I will be so glad to finish this phase! Next will be another CT scan to determine how much the tumor has shrunk, then surgery will be scheduled. 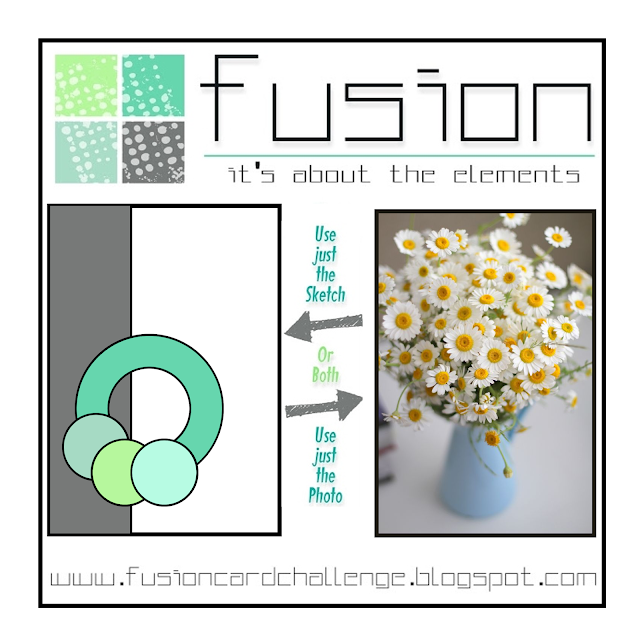 Thanks so much for stopping by...hope to see you in the Fusion card gallery! Hard to believe this is the last Color Throwdown Challenge in August! 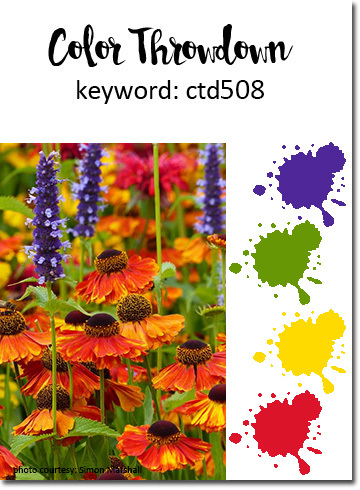 Lynn has chosen some bright, happy colors: purple, green, yellow and red! 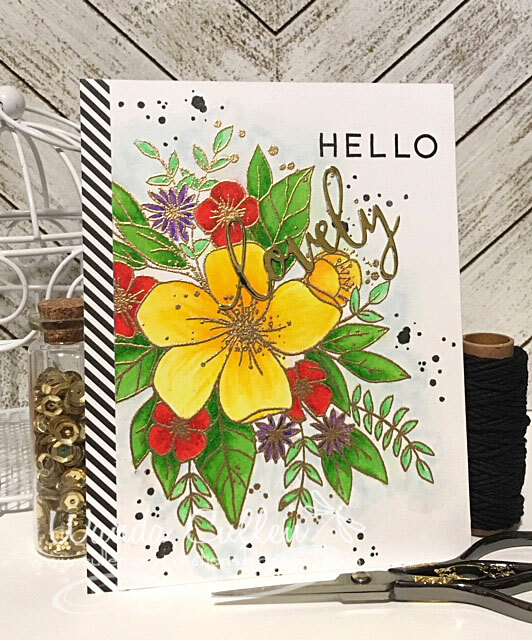 I was also inspired by this gorgeous photo of a flower garden, so Concord and 9th's Hello Lovely stamp set seemed the perfect choice. 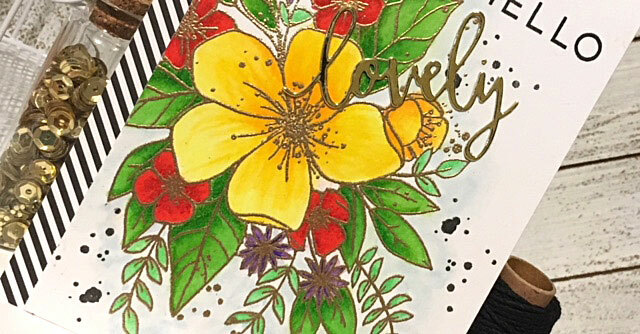 I gold embossed on Ranger's water color card stock and colored with Zig clear color brush markers. 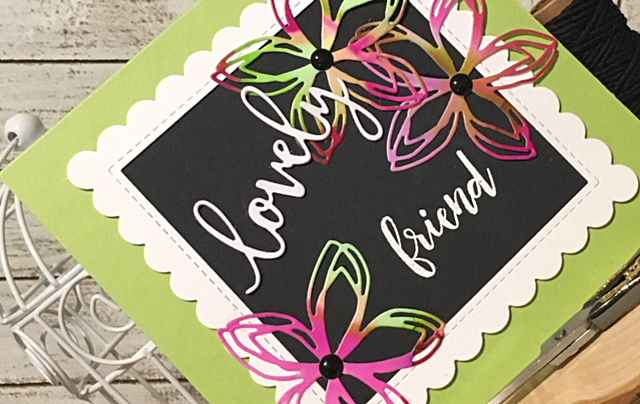 The sentiment was stamped twice in Versafine Onyx Black ink using a MISTI and the die cut word has two layers of Altenew's Gold Mirror card stock. 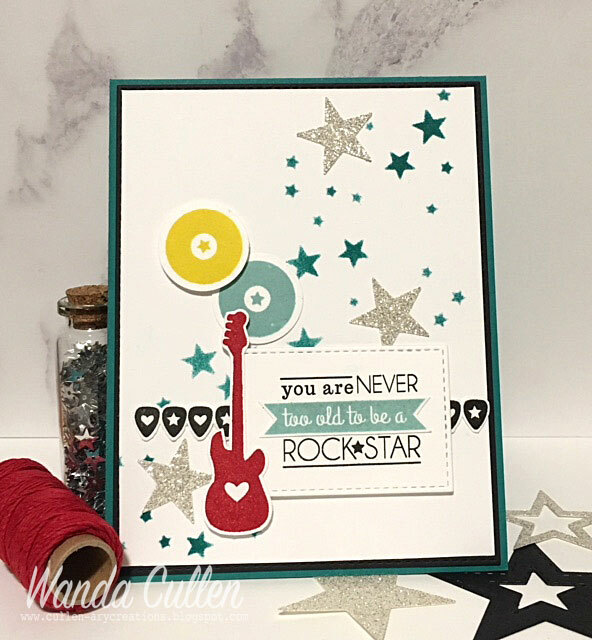 I wanted to play along with Papertrey Ink's Make It Monday challenge after seeing that 'glitter' was one of the key words! I need a wedding card soon for a bride who LOVES glitter! Lexi Daly has a great tutorial on creating glitter inlays, but my problem was not knowing where my sticker paper was hiding in my crafty space! I had to go with plan B which used glitter cardstock that was die cut and the pieces were inserted into the negative die cut spaces. Here's hoping the challenge police won't be coming after me! STAMPS: Garden Grace (PTI), Swoosh (PTI). PAPER: Aqua Mist, White, Black (PTI); Glitter CS (? source). 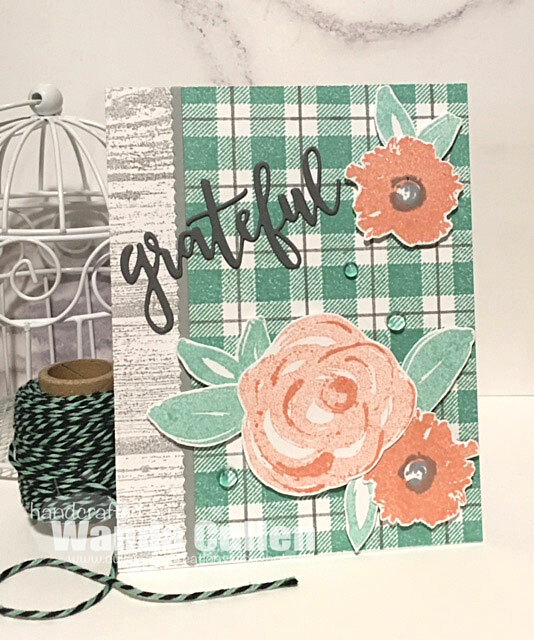 DIES: Garden Grace, Swoosh, Mix and Mat: Postal Die (PTI); Stitched Rectangle STAX Die-Namics by MFT. 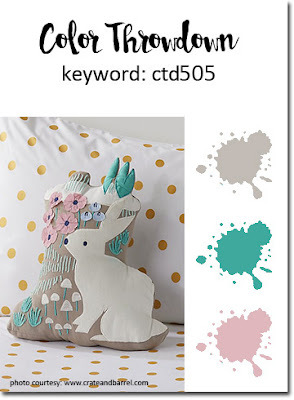 Another Wednesday has rolled around, so that means a new Color Throwdown Challenge is up and running! 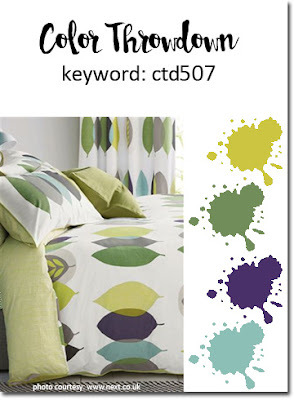 Lori has chosen the great combo of lime green, green, eggplant and aqua! My aqua turned out a little brighter than I first envisioned. 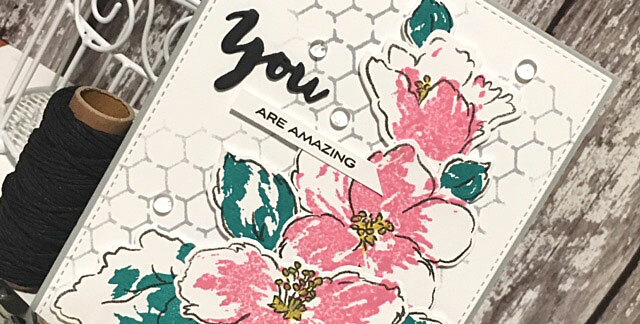 I white embossed the leaves on Ranger watercolor card stock then used Zig clean color markers to color them. I scribbled some of the markers onto acrylic blocks, sprayed with water then picked up color with a brush and had a splattering good time! I heat dried between colors so it wouldn't get as muddied. 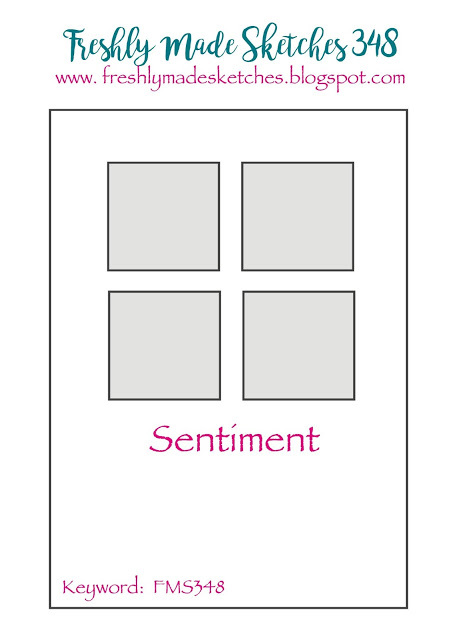 The sentiment die is by Concord and 9th and was cut twice from eggplant CS and once with a scrap of olive green CS. 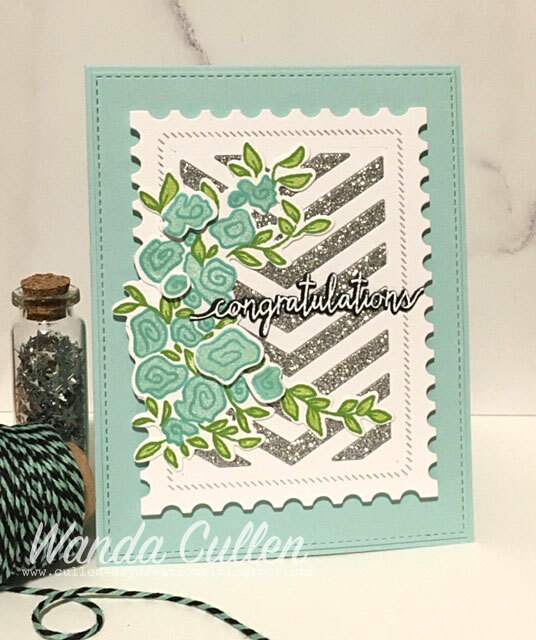 The zigzag border is from Reverse Confetti's Edge Essentials die set and the stamps are from Simon Says Stamp's Fractile Leaves set. I couldn't pass up the opportunity to play along with Narelle's great sketch for the current Freshly Made Sketches Challenge! This was also the perfect way to initiate some new stamps and dies from Papertrey Ink using two-step stamping. My card is very straight forward with no special techniques. 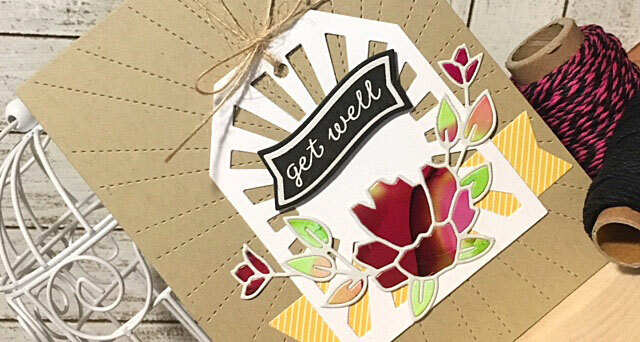 The sentiment was white embossed with Altenew's Pure White opaque embossing powder. 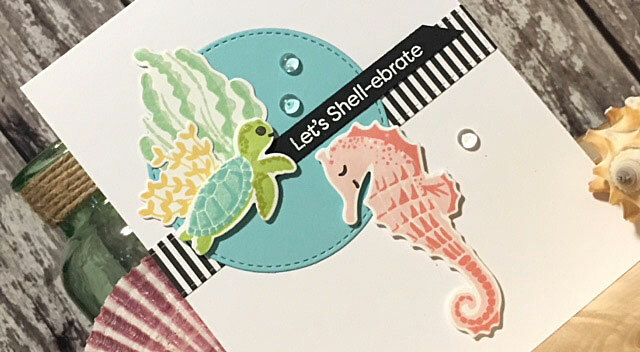 STAMPS: Salt Air: Flora and Salt Air: Fauna by PTI; Too-Cute Turtles by MFT (sentiment). PAPER: White (PTI), Iced Aqua (Reverse Confetti), True Black (PTI), Black and White Stripes 6x6 pack by MFT. INK: Sunshine, Coral by Reverse Confetti; Sweet Blush, Aqua Mist, Hawaiian Shores, Green Parakeet, Simply Chartreuse, Mint Julep, Vintage Jadeite by PTI. 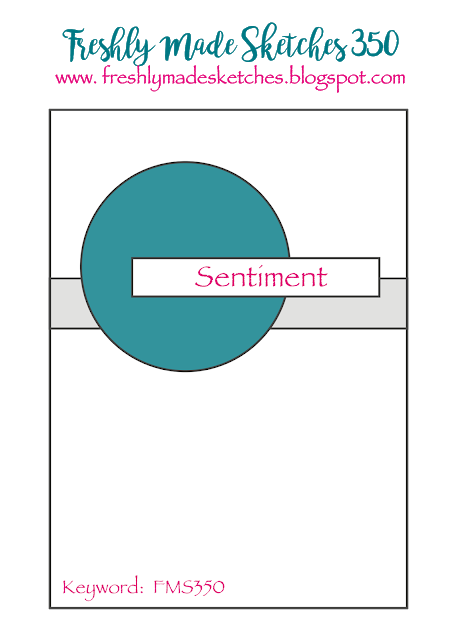 DIES: Stitched Circle and Stitched Fishtail Flags STAX Die-Namics by MFT; Salt Air: Flora and Salt Air: Fauna dies by PTI. Check out the galaxy themed photo and the terrific sketch for the new Fusion Card Challenge! I took a different slant on the galaxy theme and went only with a collage of stenciled and punched stars for the background. I also took a loose interpretation of the sketch since I wanted to use this particular sentiment which didn't fit well into a circle. I believe this set is retired from Reverse Confetti but I still love using it...especially for my rock star drummer son! 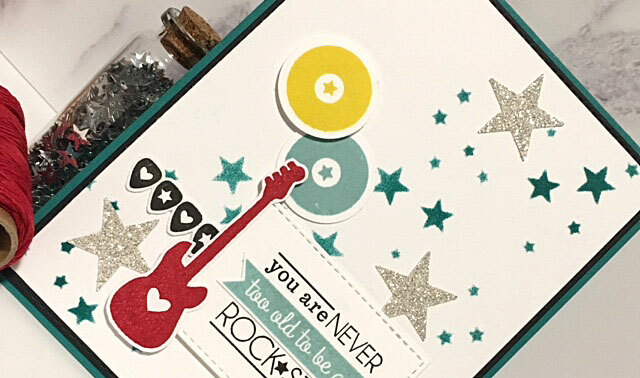 STAMPS: Inner Rock Star (Reverse Confetti). PAPER: Tropic Teal, Black, White (PTI); Silver sparkle CS (SU). INK: Tropic Teal (PTI); Iced Aqua, Bumblebee Yellow (Reverse Confetti); Real Red (SU); Versafine Onyx Black. 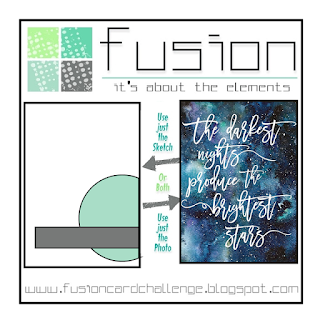 MISC: Heidi Swapp stencil; Small star punch by SU; Stitched Square STAX Die-Namics by MFT. We'd love to have you play along with us! Remember...you can use only the sketch, only the inspiration photo or you can combine them both! 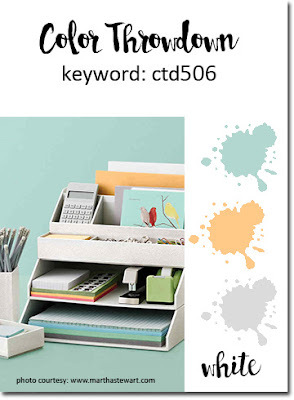 Another week has rolled around and that means a new Color Throwdown Challenge is happening. Lisa is our hostess and has these awesome colors for us: peach, aqua, light gray and white! I used a variety of stamps and a sentiment die by Concord and 9th. The florals were all fussy cut and popped up with foam tape. STAMPS: Hope, Barnwood Background, Plaid Background - Concord and 9th. PAPER: White (PTI), Smoky Slate, Basic Gray (SU). INK: Pool Party, Crisp Canteloupe, Smoky Slate ( SU). DIES: Grateful Leaf dies (Concord and9th); Edge Essentials (Reverse Confetti). The day after chemotherapy is a "laying low" type of day, so it was perfect for getting a couple more challenge cards completed for the Dare to Get Dirty week on Splitcoaststampers! My first card is for Brenda's challenge (DTGDBenzi) on 8/6. I paper pieced some scrap alcohol ink Yupo paper into this floral die by Concord and 9th. It was layered over a Sunburst Tag Layer by Reverse Confetti. I again used the Stitched Rays cover plate - also by RC. 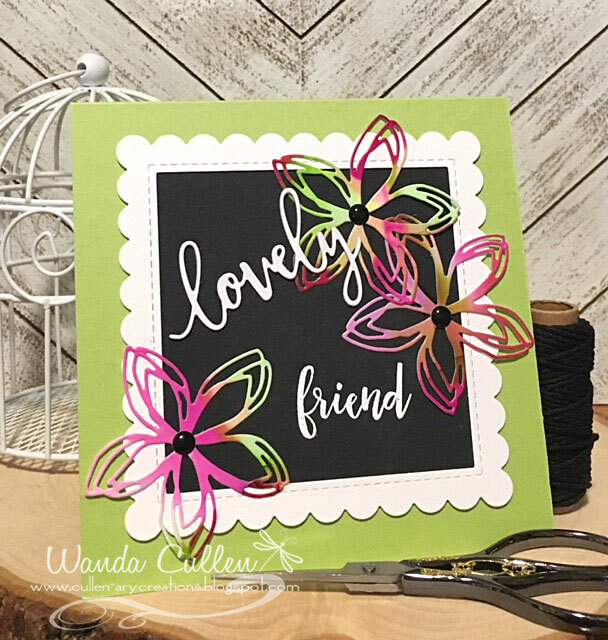 The sentiment is from RC's Bitty Banners stamp set and was stamped 3 times with Versafine Onyx Black ink with a MISTI. My second card is for Vicki's challenge (DTGD18summerthyme64B) from today. Again, I used alcohol ink marbled Yupo paper to die cut the florals from Concord and 9th's Floral and Flutter Dies set. 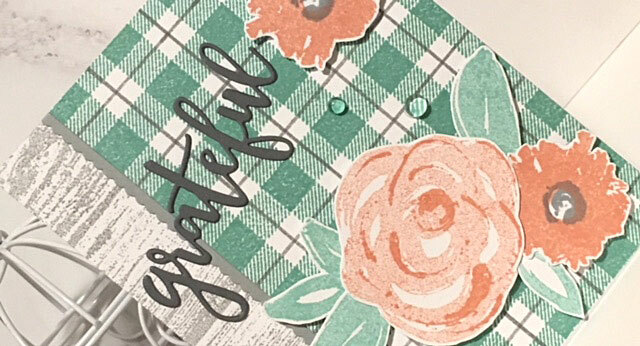 The Scalloped Square background is by Reverse Confetti. 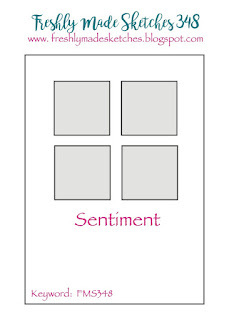 The sentiment is C9's Wonderful Women stamp set and matching Wonderful Words dies. MFT's Sour Apple cardstock was used for the 5" square card base. I'm not going to be able to get all of the DTGD challenges completed on Splitcoaststampers, but I'm doing what I can and have completed two more entries! 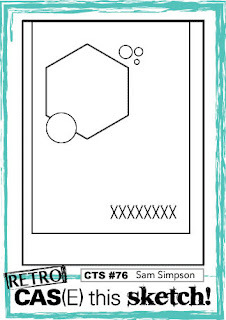 The first card also uses the retro sketch that's up for the new CAS(E) This Sketch challenge. I sponged Aqua Mist and Tropic Teal inks with TCW's Mini Well Rounded stencil. I then added texture by using Liquitex light modeling paste with Tim Holtz's Bubble layering stencil. 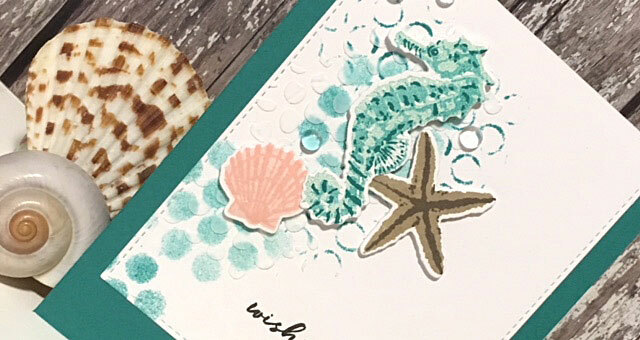 The images were double and triple stamped with Hero Arts Color Layering Seahorse stamp/die set. INKS: Aqua Mist, Tropic Teal, Sweet Blush, Pale Peony - PTI; Sand, Dark Roast- Reverse Confetti; Versafine Onyx Black. I had this leafy background die, the circle element and the watercolored florals on my leftover pile. 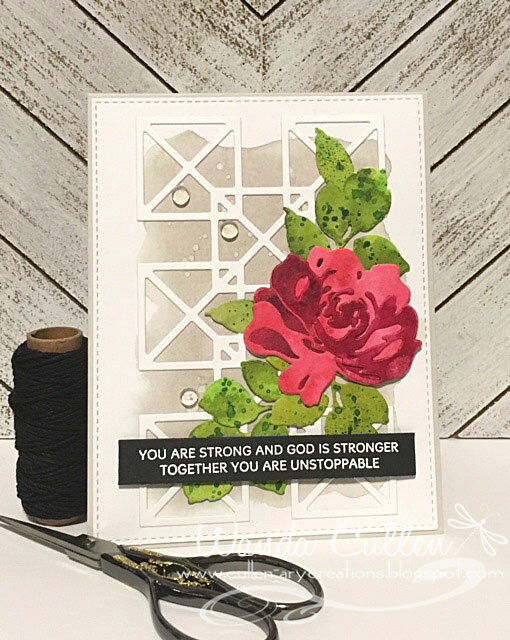 I stamped the sentiment from Reverse Confetti's The Most Beauty stamp set, then adhered the elements on a white card base...very quick and easy! 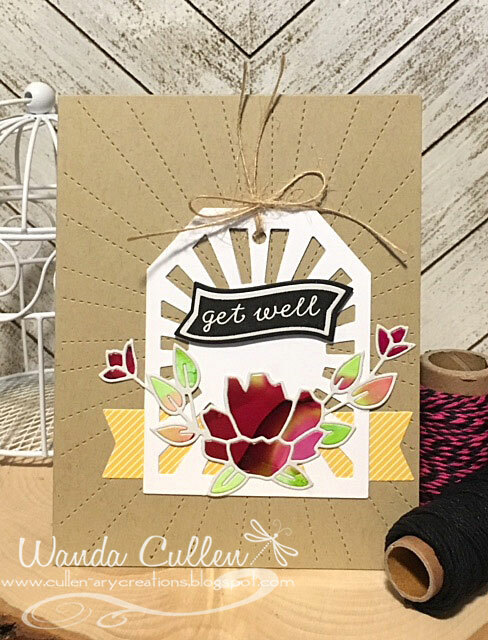 DIES: Leaves Cover Panel, Petals 'n Posies - Reverse Confetti; Stitched Circle STAX Die-Namics - MFT. Another Wednesday means another Color Throwdown Challenge is happening! 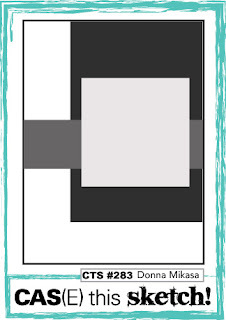 This week Jodi has chosen gray, teal and pink for our color palette. I'm also playing along with Nancy's challenge on Splitcoaststampers for her DTGD challenge. There are tons of prizes up for grabs on SCS if you are a fan club member and play along! The background was stenciled using TCW Mini Chickenwire stencil and Silver Lining ink by WPlus9. 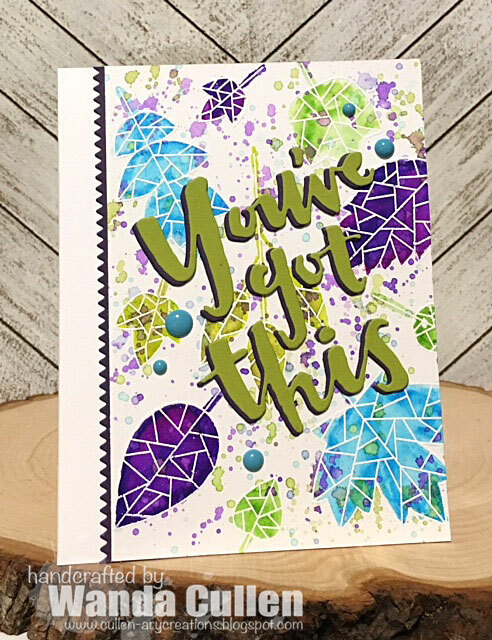 I used Altenew's Hibiscus Bouquet stamp set and matching dies and stamped with PTI's Hibiscus Burst and Tropical Teal inks. The finishing touch was with clear dew drop embellishments. 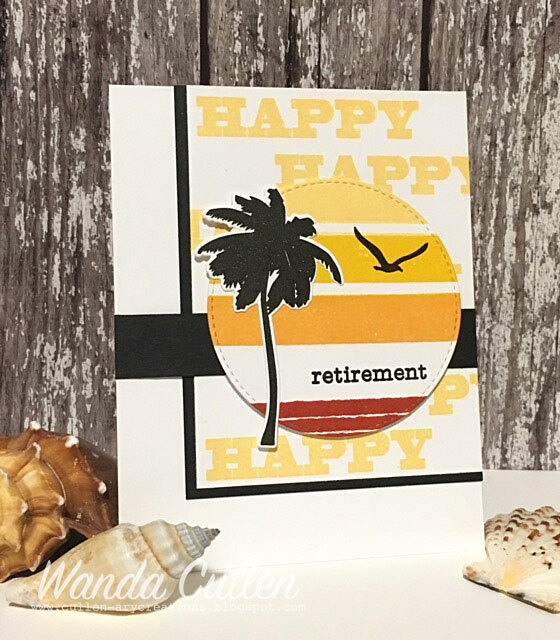 Hopefully, you are a fan club member on Splitcoaststampers and have the opportunity to play along with some or all of the challenges presented by current and former Dirty Dozen girls! You can find details on how to join HERE. I can't go into details about the challenges here, but wanted to share a couple of cards that I created for two of the challenges so far. This is for Mary's challenge and I finally got to ink up a new Altenew set called Gradient Sunset. I inked up the "sun" using 4 shades of inks by Papertrey Ink: Harvest Gold, Bright Buttercup, Summer Sunrise, Terracotta Tile. I used my MISTI to stamp the bird and sentiment at least two times as well as the background staggering of the word "happy". 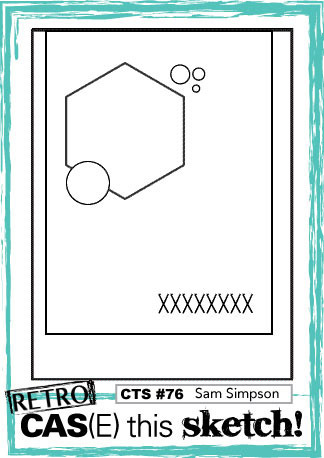 I'm also entering this card into the current CAS(E) This Sketch challenge where I tweaked the square element and changed it to a circle. It also fits for Just Us Girls Challenge where it's word week and the word is "beach". 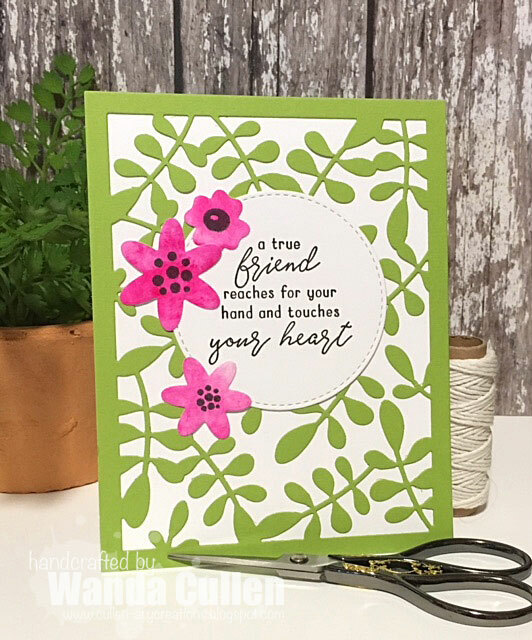 My second card is a CASE of a card by Laurie Schmidlin and it's for Jeanne's challenge. The striped pattern paper is from Reverse Confetti's Very Merry 6x6 pad. 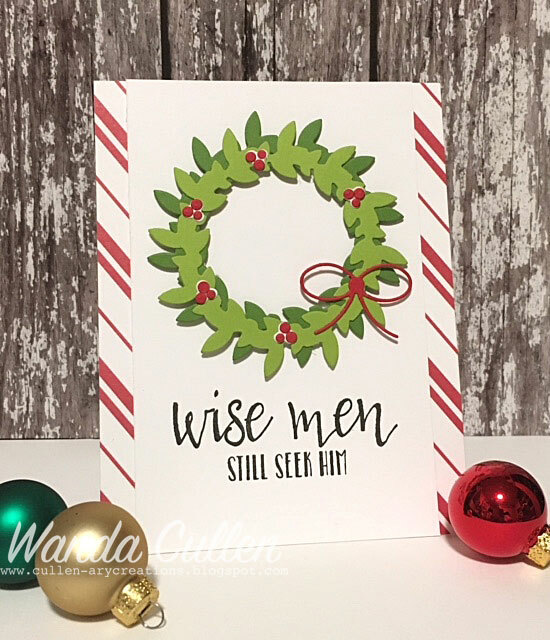 The sentiment is from RC's Christmas Blessings stamp set and the wreath includes RC's dies - Leafy Wreath and Tagged Tote (bow). This is officially my first card for the 2018 Christmas list and I have to say it is really difficult for me to do holiday cards when it's up to 90 degrees outside - lol! 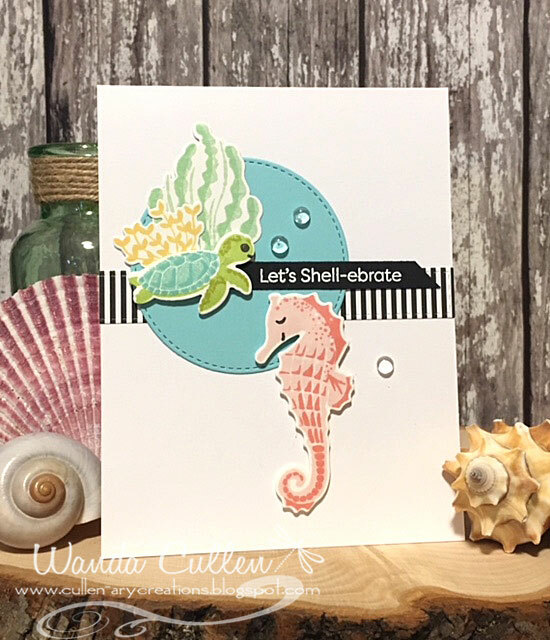 It's that annual Dare to Get Dirty week of fun over at Splitcoaststampers where the dirty girls are hosting a ton of challenges for all fan club members (you can get the fan club details HERE)! It all started August 4th and partner companies and advertisers have sponsored the event with some fabulous prize packages for the players. This artistic celebration is a thank you event for the Fan Club members who support the SCS site with their subscriptions, so join us today and come play along! Here is a LINK to the threads that address how to join in the challenges. 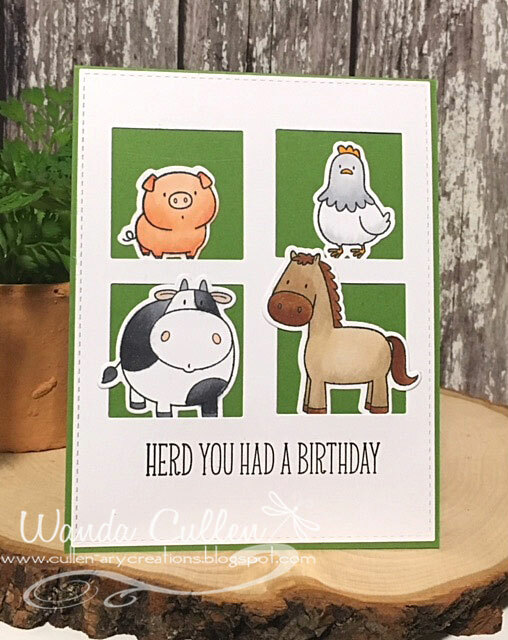 I was asked to make a card sample by my good friend, Teresa Kline, for her challenge that goes live today. While I can't go into detail about her challenge here, I would encourage you to check it out at the link above and play along with us! 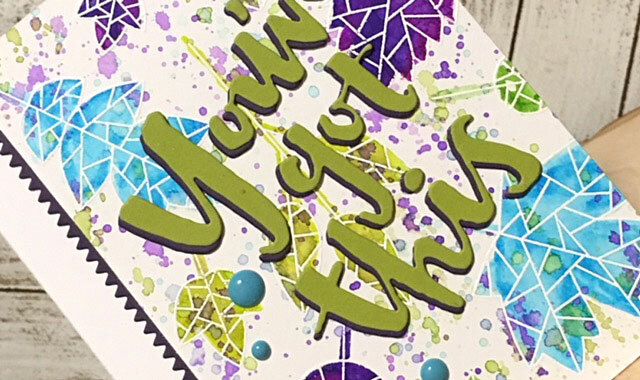 My favorite item in Reverse Confetti's July release is this Geo Panel die that reminds me of a lattice background! I lightly sprayed it with Elmer's spray adhesive and adhered it to a water colored background created with Pumice Stone distress ink. That ink matches closely to RC's Stone cardstock which is one of my all-time fave neutrals for card bases! I used Mijello Mission Gold paints to color the Fantasy Floral Dies by Altenew. I used at least 3 different shades of red and 3 different shades of green. I love the vivid hues I get with these paints! My current fight with breast cancer is going pretty well with its mix of ups and downs, so this sentiment was one that really stood out for me at a personal level as I perused my gazillion sentiment choices in my stash! It is from Simon Says Stamp "You Got This" stamp set.